Safir-2 or Phoenix, full-scale model was unveiled in 2008. The rocket has two liquid propellants stages and can place a 100 kg satellites into orbit or even heavier satellites in orbits below 500 km. Calculations show that nearly 144 tons of thrust are required to put a satellite of 100 kg at an 500 km orbit. So to achieve this amount of thrust, 4 optimized engine used in the first stage of the Safir-1, each of them developing almost 32 tons force of thrust, the cluster can achieve together a total of about 128 tons-force of thrust. The Safir-2 is 85 tons at lift-off and controlled by 4 small verniers engines that provide an additional 15 tons of thrust. Safir-2 is a two-stage liquid fuel, has a total length of 25.97 m, a first stage diameter of 2.4 meters and a lenght of 17.81 meters. The second stage is 8.15 meters long and has a diameter of 1.5 meters. reach 3000km range according to sources. Edited by Soheil, 20 May 2016 - 12:25 AM. 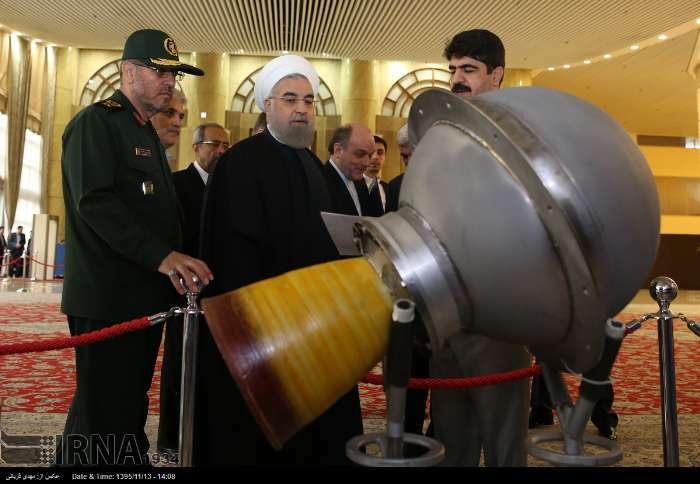 President Rouhani visiting an exhibition of the Iranian Ministry of Defense and Armed Forces on August 22, 2015, gave the media the opportunity to have a first close look at the new Safir-2 or Simorgh SLV. Similitude with NADA's Unha class SLV is evident, showing four steering vernier engines in the first stage mounted separately with the four first stage's main engines. An obvious discrepancy with previous official reports. Its first stage is powered by four main engines, each generating up to 29,000 kilograms (284.4 kN s.l.) of thrust, plus a fifth which will be used for attitude control, which provides an additional 13,600 kilograms (133.4 kN s.l.) of thrust. This definitely closes the decade old controversy between German geologist and space enthusiast, Norbert Brugge (an unrealistic dummy joke) and some experts of Armscontrolwonk (TVC via differential thrust throttling). The second stage now appears to differ from the Safir-1 SLV second stage. 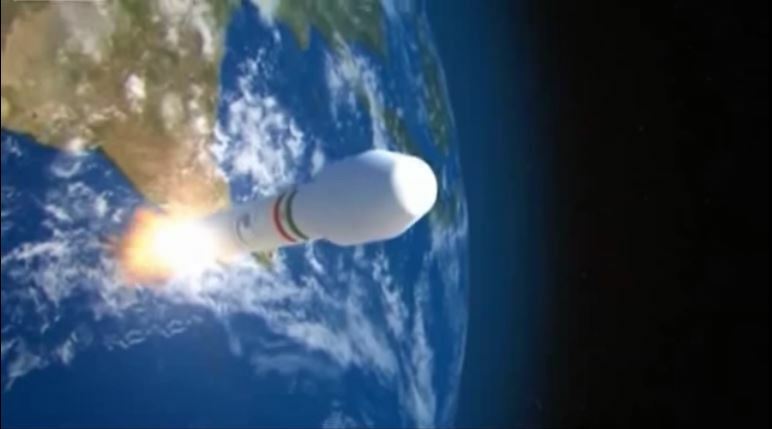 Safir-1 second stage was fitted with two fully steerable engines. The Simorgh second stage is made of four fully steerable engines with nozzle extensions and two exhaust tubes each with its own extra nozzle. With only a third stage added and red and white nose cone differences. Side view of the second stage with four steerable engines plus two exhaust tubes each with its own extra nozzle. Rear view of the second stage with four steerable engines plus two exhaust tubes each with its own extra nozzle. What a miscalculation: The Simorgh IRILV is on display again in August 2015 ! Although Iran's Simorgh launcher (Safir-2) in the well-known design so far is not been in use, is it already a "phase-out model". A launch of a Simorgh was repeatedly announced and is up to now permanently uncertain. It imposes itself on the suspicion that the Simorgh rocket, as it is presented, in reality is only an unrealized version of the North Korean Unha. By some sources it is reported that already a new and stronger launcher Safir-3 (Sepehr) is in development with other new engines. The "Sepehr" should be in 2015 or 2016 available. It is about 40m high, has a diameter of 3m. The first stage is equipped with new liquid fuel engines. The engines are bigger as the engines of the Safir and Simorgh. Each engine has about 50 tons of thrust. Combustion chamber, turbopump etc are unique, says the source. Further details are not known. However, it is called a total thrust of 300 tons. "we will test the Phoenix launch vehicle which is capable of puting up to 200 kg into orbit"
Therefore are the real dV between 8,055 and 7,470 m/sec just enough for 40 kg payload to LEO. Therefore are the real dV between 8,160 and 7,615 m/sec enough for 450 kg payload to LEO under the assumption of a third SUS-M1 stage. Edited by Soheil, 25 March 2017 - 04:56 PM. Iran will unveil a new satellite carrier in early February and will launch a satellite into the space in next Iranian year (to start on March 20), Vice-President for Science and Technology Sorena Sattari said. "The new satellite launcher will be unveiled on the National Space Day (February 3)," Sattari told FNA on Wednesday. He said that information and specifications of the new satellite carrier will be announced later. An informed source announced that Imam Khomeini Space Launch Center was ready, and that the next two weeks will be spent to complete the final controls before the maiden flight of the Phoenix carrier rocket. As announced, a new paintjob for the Safir-2 mockup as paraded in the streets of Tehran on 11 February 2016, previously blue and white, but this year newly assorted with the Korean orange and white vertical gantry at Sohae, and still dark green a year ago. Vertical gantry of the Sohae Satellite Launch Center, previously dark green and repainted orange and white this year, used to launch the Kwagnyongsong-4 remote sensing satellite with an Unha-3 launcher on 7 February 2016. 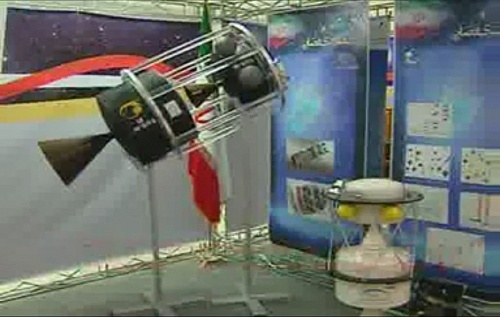 The Head of Irans National Space Center announced that the country would test launch the Simorgh satellite carrier after mid-April 2016 (the second month of the Persian calendar). He said that the second test launch would follow after mid-November (the 9th month of the Persian calendar). A final test launch should be conducted after mid-March 2017 (the Persian calendar's first month of the year 1396). He added that less than 10 countries in the world have the capability to design and build a Simorgh class satellite launcher. Irans Space Agency official said that the first generation of the satellite carrier is capable of launching communications and remote sensing satellites with a mass of 100 kg to a 500 km orbit. The first remote sensing satellite is already produced, with a resolution of 25 meters at a 500km altitude orbit. In the last period, some countries attempted to develop nuclear weapons, but finally yielded to the collective pressure of the U.S. imperialists and powers in collusion with them. Those countries did so because of lack of courage and will. Steadfast are the faith and will of the service personnel and people of the DPRK to preserve peace and stability on the peninsula and build a world of justice by dint of nuclear deterrent for self-defence, the shield for peace and treasured sword for national independence. Edited by Soheil, 20 May 2016 - 12:28 AM. Saman 1 space tug which has been manufactured for the first time in the country is used to transfer the satellites from Low Earth orbit (LEO) to higher orbits. 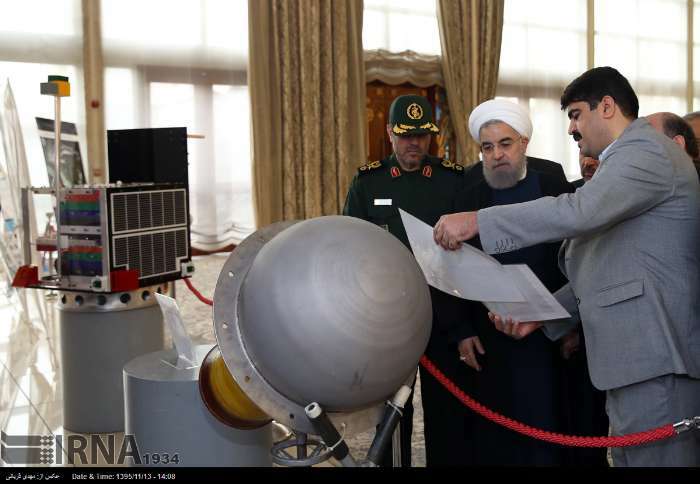 01/02/2017 -- The Interorbital System named Saman 1 was unveiled in a ceremony marking the ninth national space technology day in the presence of President Hassan Rouhani here on Wednesday. 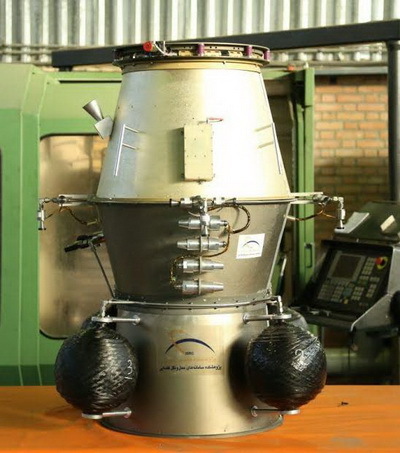 The ISRC exhibited a new solid propellant motor showing differences with the previous Saman-1, notably in diameter (~ 10 cm smaller), and also the carbon fiber tanks for the cold gas are no longer spherical but more oblong. 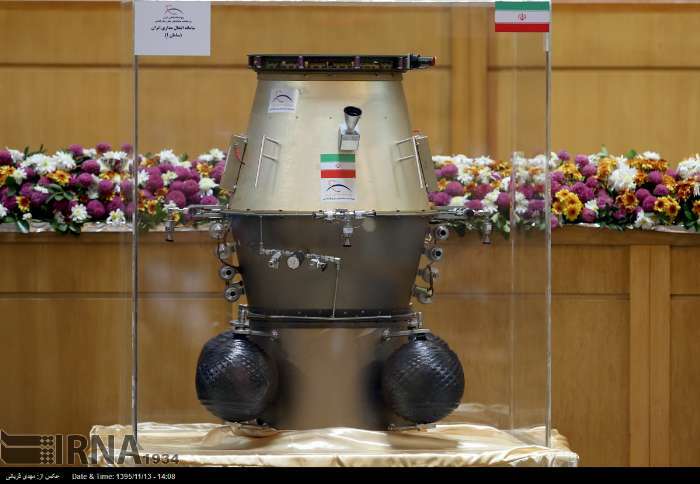 Iranian Space Research Institute on the occasion of the Sixteenth International Conference on Aerospace, disclosed in an exhibition, a new Arash-22 solid fuel motor for upper stage. SUS-M Upper Stage for comparison. Arash-22 solid fuel propellant main motor and carbon fiber tank for the cold gas vernier thrusters. Edited by Soheil, 23 March 2017 - 12:01 PM. Iranian President Hassan Rohani was welcomed in Semnan province's railway station on Tuesday morning by the supreme leader's representative in the Semnan province, the Friday prayer's leader, the Semnan governor and a number of local authorities. Russian website "Kommersant" reported that today at noon, the Iranian military carried out a test launch of a rocket. The exact type of the launcher is not yet known, but was recorded by Russian early warning radars system (EWS) in Armavir and Orsk. The test of the Iranian rocket was successfully conducted according to military sources. 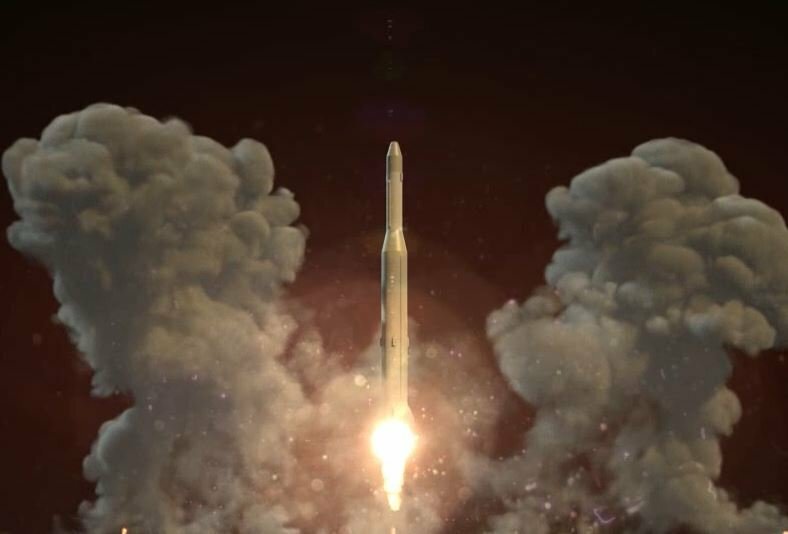 According to them, the launch took place at 12:33 Moscow time from the Dasht-e Kavir desert, Semnan launch center and, according to preliminary data, was successful and the head of the rocket fell in the southern part of Iran. 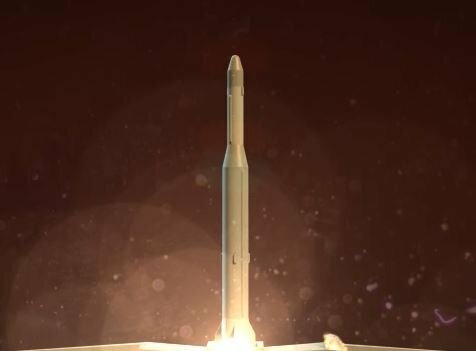 "The launch is confirmed by the data obtained by radar detection", said one of the interlocutors, noting that Russian experts are now trying to determine the type of the launch vehicle and its performance. Officially, the Iranian authorities have not yet announced the test. Iran this week conducted the first launch of a new rocket. The launch of the Simorgh space launch vehicle on Tuesday was judged to be partly successful but did not reach orbit. It was either an unsuccessful launch, or a test of third stage not meant to place a satellite in orbit. Edited by Soheil, 10 February 2017 - 05:26 PM. Edited by Soheil, 26 February 2017 - 11:19 AM. 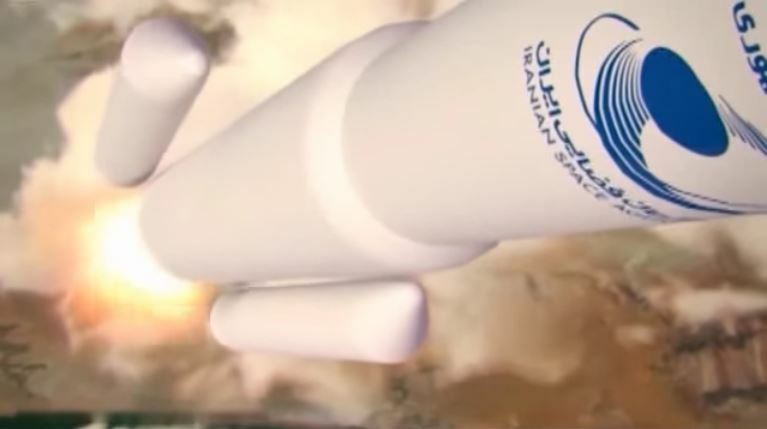 A 9th February 2017 video released on the occasion of the 15th International Conference of Iranian Aerospace Society, reveals first look at CGIs of what appears to be a Safir-2B SLV, made of a Safir-2A first stage with two additional strap-on booster rockets, a streched longer 2nd stage, a new larger diameter payload fairing and the future Saman 1 Upper Stage. Each strap-on booster might be powered by a single liquid fuel Shahab-3/Rodong uprated engine developing 37-tons thrust. 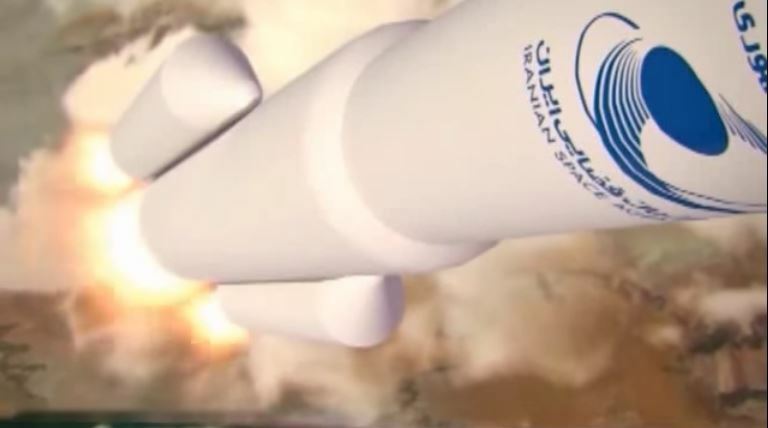 An addition of a total of four strap-on boosters could further increase the payload capacity of a speculative Safir-2C, doubling the lift-off thrust of the Safir-2A. Each strap-on booster might be powered by a single liquid fuel Shahab-3/Rodong uprated engine of 37-tons thrust. 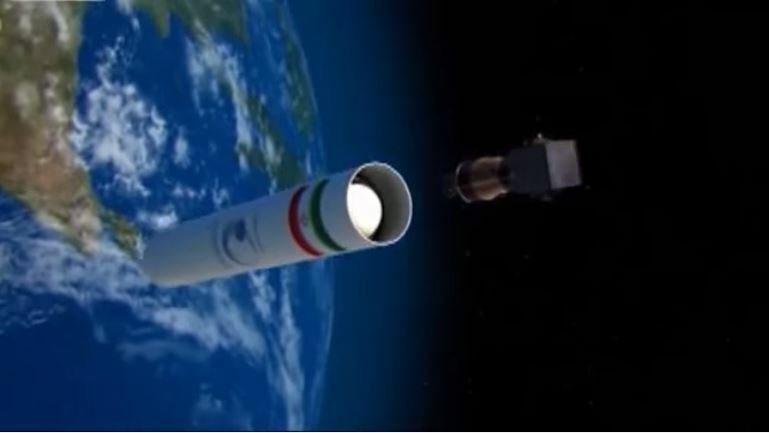 This launcher could be adapted to support a manned orbital E1 mission, as the Safir-2D, similar to the Chinese Shuguang-1 and CZ-2A, with only a few orbits and a single astronaut. 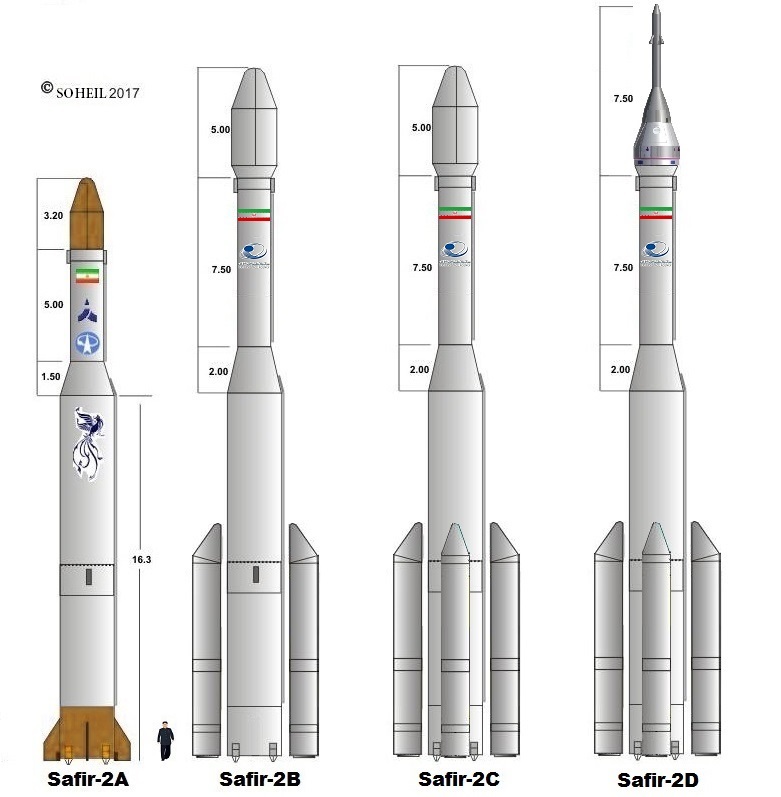 Safir-2 LV family evolution: Safir-2A, Safir-2B, Safir-2C and speculative manned Safir-2D with E1 spacecraft. Edited by Soheil, 23 March 2017 - 11:49 AM.